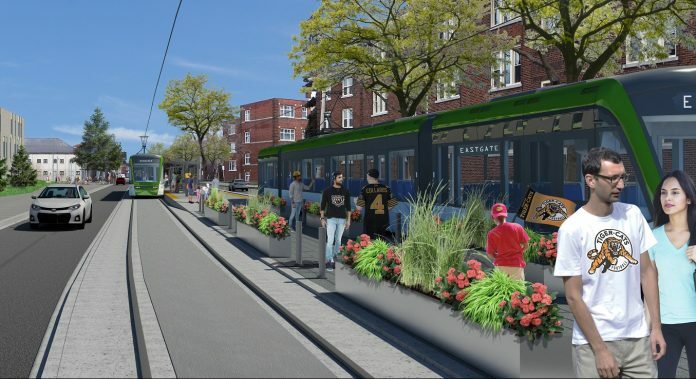 Request for proposals (RFP) have been issued to three shortlisted teams to design, construct, finance, operate and maintain the Hamilton light rail project in Ontario. The development is one of a number of major announcements from Infrastructure Ontario (IO), which has also picked the preferred bidder for Toronto’s Finch West light rail project and issued a RFP to two prequalified teams for the Toronto Union station enhancement scheme in recent days. Operation, maintenance and rehabilitation team: ACS, Aecon, CRH, Serco. Operation, maintenance and rehabilitation team: EllisDon Facilities Services, Bombardier. Operation, maintenance and rehabilitation team: Transdev, Hitachi-Ansaldo, Astaldi. These teams were selected based on the evaluation of criteria identified in a request for qualifications process that began in February, 2017. Upon evaluating the proposals received, IO and public transport operator Metrolinx expect to award the contract in 2019. 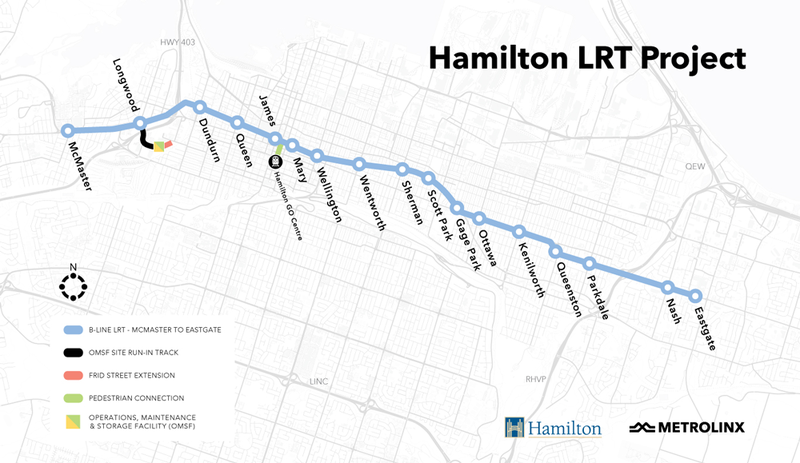 The 14km-long Hamilton light rail line includes a dedicated corridor from McMaster University through downtown Hamilton to Eastgate Square, from the west end of the city to the east, with 17 stops on route. The procurement of a fleet of light rail vehicles and the construction of an operations, maintenance and storage facility is also included in the deal. Construction is expected to start in 2019, with an estimated completion date set for 2024.